Finally i opened my own shop. 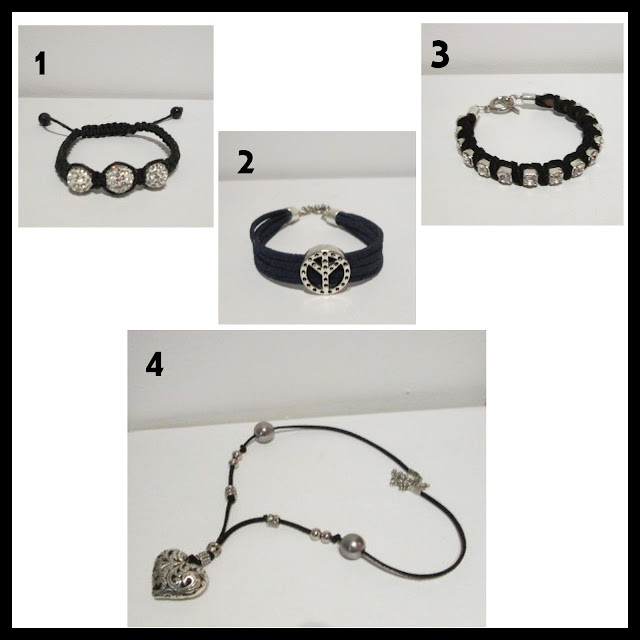 The jewerly at picture are made by me.Before buying jewerly handmade,you have to contact me to my email and if there is more than one color of jewerly, you need to tell me what color you choose. Those informations are in description of each item in my store. The description is in portuguese, so use the translate or contact me. Now you can shop my handmade jewerly and acessories and also shop my closet (2º hand). As you can see, i only have for now those items but i will do more jewerly for sure.I will update you whenever there is a new item in the store. My store is open to worlwide.Delivery depends on the country where your order will be sent.If you need more information, contact me to my email: filipa.sara23@gmail.com. Do you like my handmade jewerly? What is your favorite? Finalmente abri a minha loja. A bijuteria da imagem são as peças que estão à venda na loja.Todas essas peças de bijuteria são feitas por mim. Na descrição de cada peça diz lá se é necessário efectuar a encomenda ou não.No caso de existir mais que uma cor para a peça, têm que me dizer qual a cor que escolheram.Além de puderem comprar bijuteria e acessórios podem também comprar as minhas peças de roupa.Como podem ver, apenas fiz essas quatro,mas vou estar sempre a fazer coisinhas novas.Irei actualizar-vos sempre que houver algo novo na loja. Gostam da bijuteria que fiz? Qual é a vossa peça preferida? would you like to follow each other :)??? Wow great shop, everything looks great!!! !